Computer scientist Brian A. Smith has developed a user interface that will enable blind players to enjoy racing games. Developers will have access to the racing auditory display (RAD) as a plug-in later this year, and it will be open-source and available on GitHub. The RAD uses audio cues that gives visually impaired players information about the race track. It does this through a sound slider that tells players about the car’s speed and a turn notification system that notes when a bend in the track is coming up. It doesn’t simply tell players to turn, though; it gives them the information and then the plan of action is up to them. “The RAD’s sound slider and turn indicator system work together to help players know the car’s current speed; align the car with the track’s heading; learn the track’s layout; profile the direction, sharpness, timing, and length of upcoming turns; cut corners; choose an early or late apex; position the car for optimal turning paths; and know when to brake to complete a turn,” said Smith. Smith is a PhD candidate at Columbia University’s Fu Foundation School of Engineering, and he worked on the RAD with professor Shree Nayar. 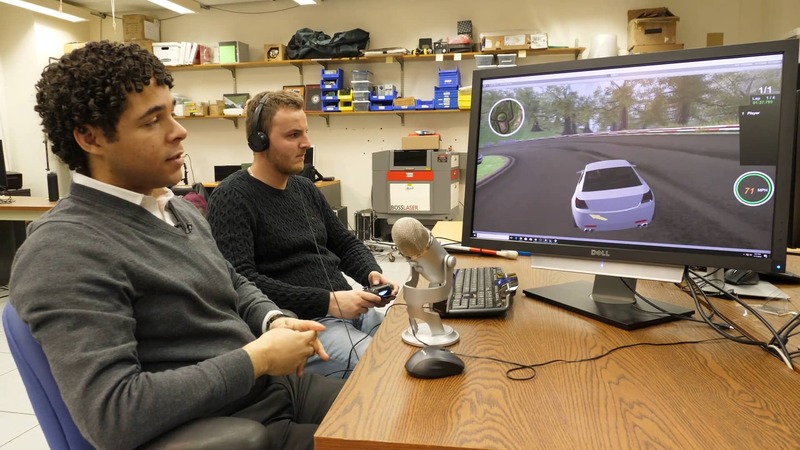 To evaluate how well the audio interface works, he also developed a racing game prototype using the game engine Unity. He playtested his prototype with volunteers from Columbia along with folks he recruited through the Brooklyn-based organization Helen Keller Services for the Blind. Smith is planning on adding more features to the RAD, such as competitors’ cars. He’s also considering creating auditory interfaces for other genres, like first-person shooters and role-playing games.